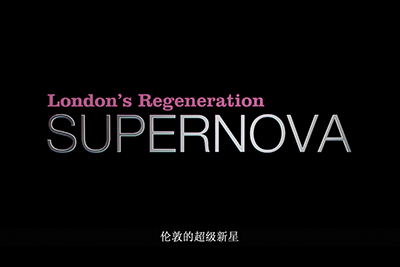 In 2010, the now-defunct London Development Agency (LDA) and the London Borough of Newham, jointly produced a promotional movie called 'London's Regeneration Supernova', to be screened at the Shanghai World Expo 2010. The aim of the film was to highlight land and property market opportunities for investment in the area of the borough described as an 'Arc of Opportunity', stretching from Stratford, through Canning Town, Custom House and the Royal Docks. The Music for Masterplanning project was conceived to capture the meaning of 'Opportunity' promoted by the 'London's Regeneration Supernova' video, and to expand its narrative possibilities by rewriting its soundtrack through many different approaches collected within the boundary of the 'Arc of Opportunity'. It is a fictional playlist for a the masterplanner, 'an intractable and incoherent musical narrative of people in and out of place', increasingly made to feel culturally exotic within the place they inhabit, at odd with the narrative of the place they occupy and dwell into. Throughout 2016, Music for Masterplanning has researched, recorded and mastered 17 different soundtracks composed and recorded by people living or working in the Arc of Opportunity into a musical collection that will be freely available on several digital streaming and download platforms (Spotify/Soundcloud/Bandcamp). A book from the project, titled 'Regeneration Songs' will be published by Repeater Books in September 2018 responding to the themes raised by the project and including contributions from a diverse range of writers - journalists, academics, artists and urbanists; new arrivals, interested visitors and east London locals. The culmination of the project will be a live event/book launch/music release where all the music made for MFM and the original Supernova movie are to be seen together in public for the first time.